Sorry to report, but it sounds like the Mortal Kombat reboot is still a long way off. Development has been underway on a new movie based on the very popular video game franchise for some time now, with Aquaman and The Conjuring director James Wan coming on board as a producer nearly three years ago. Official developments on the project have been few and far between in that time. However, some recent news in the form of a casting breakdown for characters from the movie began circulating online, making it seem like the project is finally gaining steam. Unfortunately, producer Todd Garner dumped a sobering bucket of cold water on things. Todd Garner took to Twitter in response to a fan who wanted some clarification on the recent news. 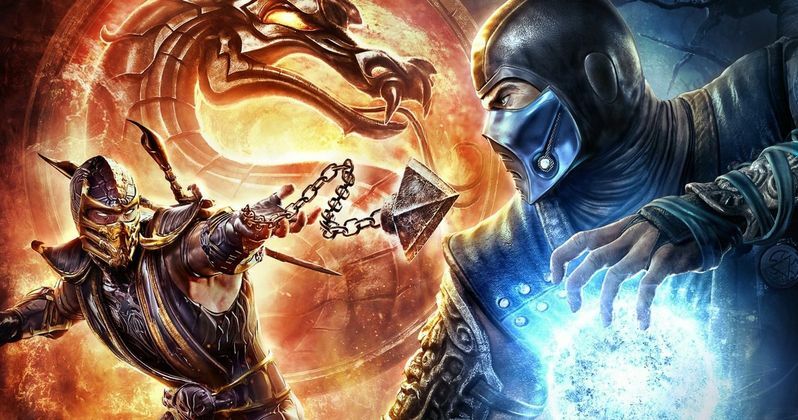 A character breakdown revealed that the Mortal Kombat reboot would center on a brand new character and have Raiden as a 14-year-old boy. The breakdown also excluded characters like Scorpion and Sub Zero. While Garner didn't outright deny that this character breakdown was false, he made it clear that nothing is happening with the movie as of right now. Here's what he had to say. "Nothing is happening with the movie at this time, so all news is premature. Sorry!" The original Mortal Kombat movie was released in 1995 and was one of Hollywood's first major attempts at bringing a video game franchise to the big screen. It would be tough to call it a good movie, though, the bones of a good movie are in there somewhere. Technology just hadn't caught up with some of what they were trying to do and the tone was certainly an issue. It was, however, successful enough to spawn a sequel in the form of 1997's Mortal Kombat: Annihilation, which was, sad to say, further away from the right track. In the years since, Hollywood hasn't given up on video game adaptations, despite the fact that nobody has really cracked the code just yet. This year's Tomb Raider reboot seemed promising, with Oscar-winner Alicia Vikander on board. Despite that, it was met with a largely negative response and likely won't be getting a sequel. Dwayne Johnson also gave it a go with Rampage, which did quite well at the box office but still didn't managed to pin down the critical-acclaim aspect. All of this to say, a Mortal Kombat reboot makes a lot of sense. It's got the makings of something that could be a genuinely great movie. It also benefits from being relatively simple; cool characters with a variety of powers duke it out in a crazy martial arts tournament. In late 2016, commercial director Simon McQuoid was brought on board to helm the reboot. Since then, development has been slow. For now, no doubt in part thanks to James Wan's busy schedule, this project is caught in the awful abyss of development hell. You can check out Todd Garner's Twitter response to the recent Mortal Kombat news for yourself below.